Just as in the past couple of years, I will keep adding to this list of books that I have read. Last year, I finished 92 books, so I have quite a job ahead of me if I plan to keep up the pace. However, at the moment I have 299 books on my "to read" list (click on my Shelfari shelf at the side of the blog to see the books I have read and that I plan to read), so I'm not likely to run out of ideas for reading material. Later note: For my favorite books from 2010, see the comments, below. Weinstein: Pizza; grill it, bake it, love it! Holy Smokes, that's a lot of reading!!! What were your top 3 favorites? Such a good question, Becky. This was my year for nonfiction reading, since those were the books I enjoyed the most (unusual for me). I really liked The Secret Knowledge of Water, by Craig Childs, about water in the desert ("there are two easy ways to die in the desert: Thirst and drowning"). His writing had me on the edge of my chair. Second choice--another desert book--Barren, Wild, and Worthless; Living in the Chihuahuan Desert by Susan Tweit. 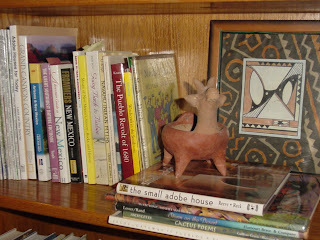 The author lives in Las Cruces and was writing about places all around us, places I have grown to know. She was taken aback by the desert at first, just as I was. 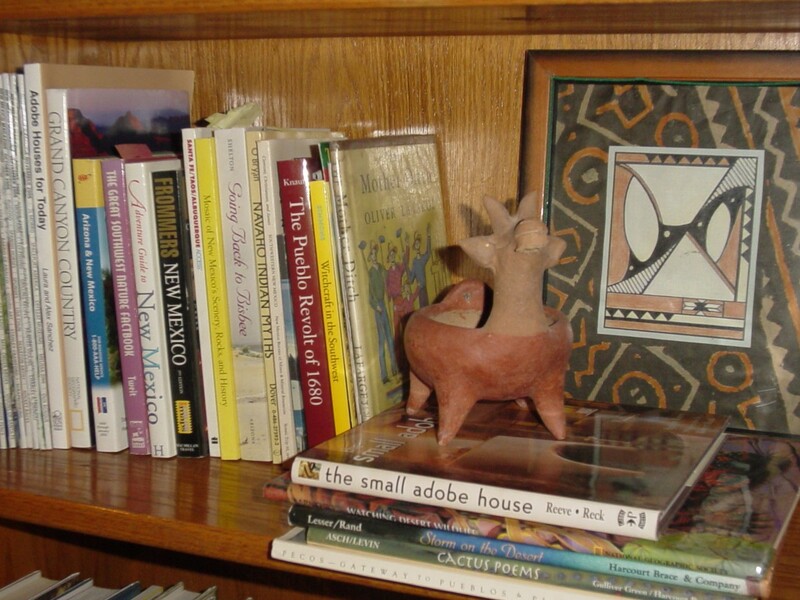 Since the LC library got rid of the New Mexico room that I loved when we lived here years ago, I decided to start with the "A" authors in the fiction section and read all the books marked with the little New Mexico sticker. That brought me to Edward Abbey, and the first book of his that I ever read, Fire on the Mountain. It's based on an actual incident and is about a rancher in the Tularosa Basin whose land is being taken over for the White Sands Missile Range. I'm reading Abbey's classic Desert Solitaire now, and the writing is absolutely gorgeous. One more book, a novel, that I really liked was The Sisters From Hardscrabble Bay, by Beverly Jensen, about two sisters brought up on a farm in New Brunswick. She really got it right. My mom is from a big farming family on the Maine/New Brunswick border, and I kept picturing them as I read the book. I love reading "people" history (as opposed to "dates and battles" history) and kept thinking that, although I wished they talked more like Little House on the Prairie-type folk, Jensen avoided that sort of pretending about the past and gave them authentic rough and earthy voices, just like the people I know from New Brunswick. Interesting note--the book was the first and only by this author and was published after her death from cancer. Clair, thanks! When I have the time again, I shall check into these. I've heard Craig Childs was a good author, but I haven't read any of his work. Years ago, I had read some Ed Abbey for a rec class @ SDSU... but it has been soooo long ago, it would be new to me now. I am not much of a fiction person... I enjoy real life stories. Oh, a book, something warm to drink & a fire sounds good right now... but shoot- off to work!! Thanks for reminding me of the "Secret Knowledge of Water"! I need another book to add to my Amazon order to push it over $25 so I get free shipping and I think this book will be required reading for me...who plans on becoming a "rookie" New Mexican this year.